Weighty Matters: How About a Feel Good Food Partnership for a Change? How About a Feel Good Food Partnership for a Change? Thanks to Lindsay Zalot for sending this my way. 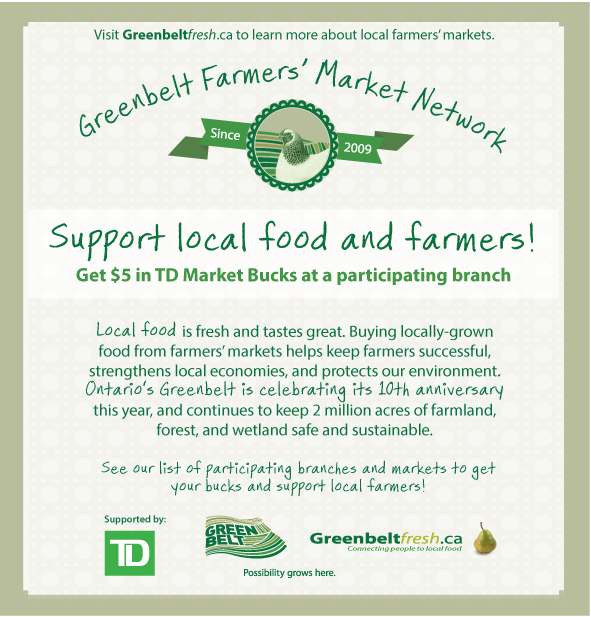 It's a partnership between the Greenbelt Farmers' Market Network and the TD Bank whereby the TD Bank provided their customers with "Market Bucks" that could be spent at a whole host of fresh farmers markets. 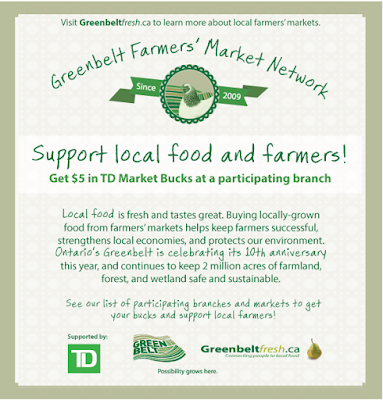 Kudos to the TD Bank and to Greenbelt Farmers' Market Network for a healthful partnership.